We give our students many opportunities to be active participants in the celebration of the Mass. One very special way St. John the Evangelist School boys and girls have to take part in the Mass is by altar service. 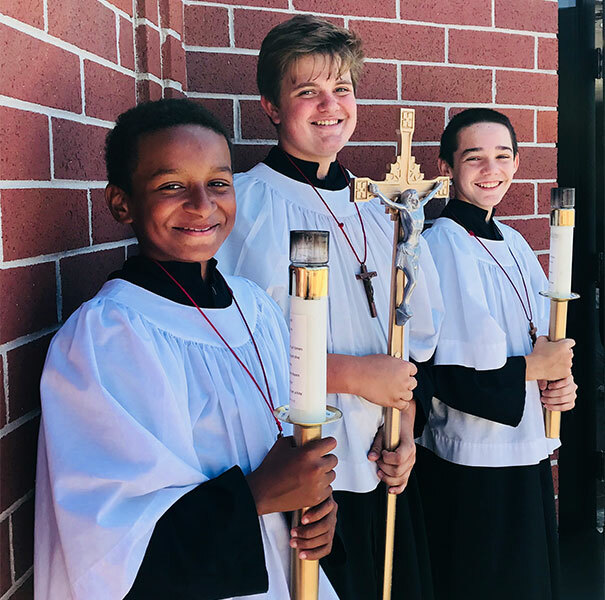 Beginning in the 5th grade, all children are invited to train as an altar server. The training is done under the supervision of a volunteer member of the parish. Students are then encouraged to serve at both school and parish Masses.